“I am a born and raised New Yorker, so this city has crept into the crevices and cracks of my being since I could stand.” Sophie Auster’s connection to New York runs deep. It is where she learned her craft, shaped her creative potential, and cultivated a sound and style that is uniquely her own. 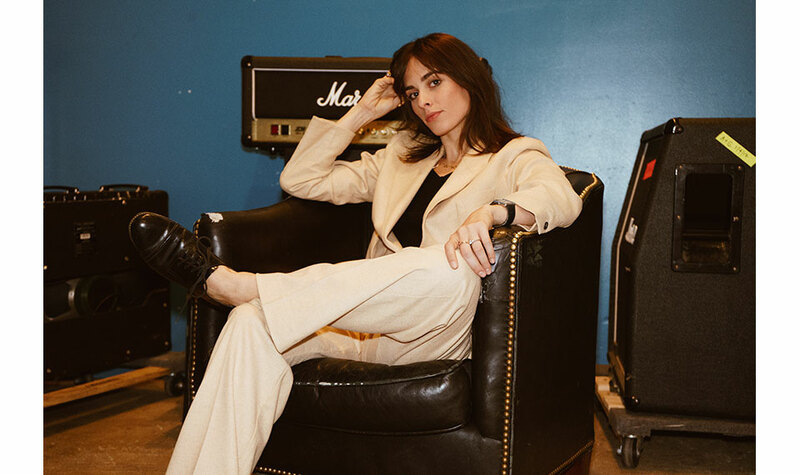 In the four years since the release of her sophomore album Dogs and Men, (her EP Red Weather came before in 2013), the introspective singer-songwriter has been busy toiling away in the studio, writing and rewriting, and rewriting again. 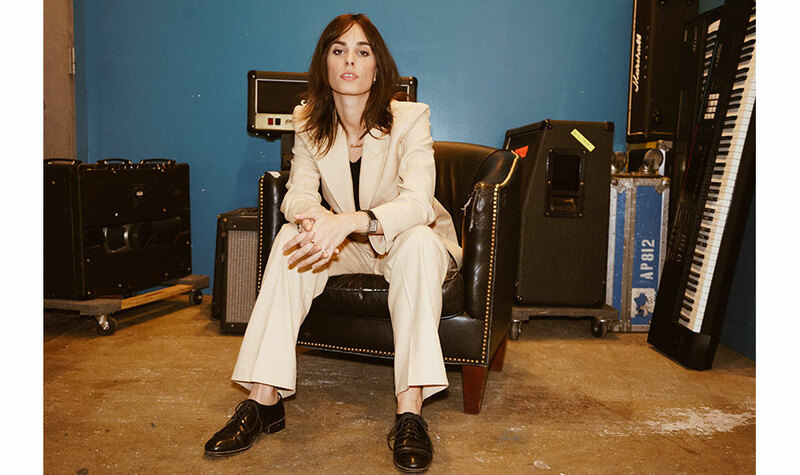 The resulting record, Next Time—a soulful meditation on love and heartbreak anchored by the haunting vocals of its creator—is proof of time well spent. 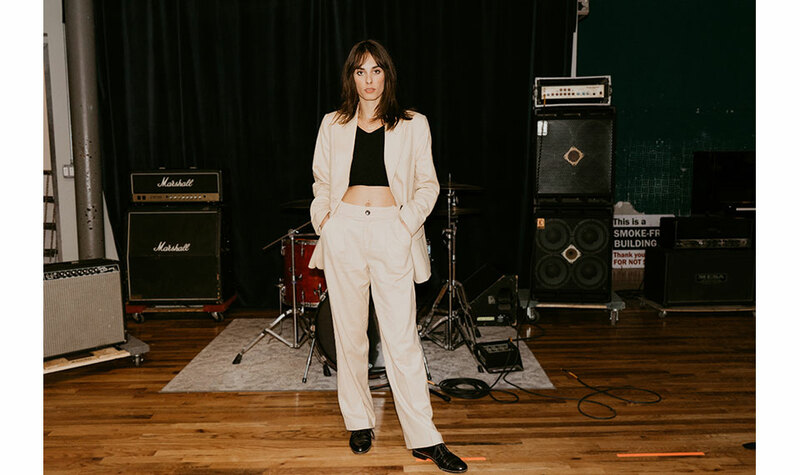 On the night before Auster’s record release party in downtown New York, we dropped by her rehearsal space to talk about the creation of Next Time, her upcoming tour, and how living and working in New York filters into and informs her creative output. Congratulations on your new album! It’s been four years since your last release, Dogs and Men—why the wait? Sophie Auster: Thank you! I actually immediately began writing songs and jumped into the studio very quickly, but realized that the project I had started felt rushed and like a betrayal of who I was. I then went back to the drawing board, wrote more songs and eventually ended up recording the album in Sweden with Tore Johansson [New Order, Tom Jones, a-Ha]. After the completion of what is now Next Time, I jumped through a lot of bureaucratic hoops trying to get a label behind the album. It took a long time to find a home for the record, but I’m thankful that it ended up with BMG, who believe in me and the music. What did you set out to achieve with your song “Rising Sun”? SA: I wrote “Rising Sun” about a year after I had my heart broken for the first time. I had healed and moved on from mourning the relationship, but I wondered if I’d ever feel that way again. “Rising Sun” is about missing the state of being in love and grieving the loss of that feeling leaving you. Tell us about the process behind your work. What goes into writing a song? SA: Anything and everything can be inspiring, but I have to have a sense of calm and focus when I write. I find it very important to have an uncluttered space that allows me to lock myself away and let myself just be. I don’t have an ironclad methodology for writing; I am a self-taught songwriter, so I sometimes start with lyrics, other times a melody, and go from there. I then build arrangements around the bare bones of the songs. Someone once told me a good song should be able to be stripped down and still hold up. I try and approach my work this way always. In what ways does living in New York filter into and inform your songwriting, if at all? SA: I am a born and raised New Yorker, so this city has crept into the crevices and cracks of my being since I could stand. I think the exposure at an early age to such a rich cultural environment helped give me a solid foundation and understanding of art. It also taught me what it means to be a working creative person in a big city. Tell us about some of your musical influences: what artists did you grow up listening to, who are you currently inspired by? SA: I grew up listening to Roberta Flack, Dusty Springfield, Joni Mitchell, Laura Nyro, Ella Fitzgerald, Nina Simone, Fiona Apple, France Gall, Otis Redding, Tom Waits, Stevie Wonder, Marvin Gaye, and many more. Today I am listening to Sibylle Baier, Aaron Lee Tasjan, Daniel Wilson, Mitski, Molly Drake, Scott Walker, and Trixie Whitley, to name a few. 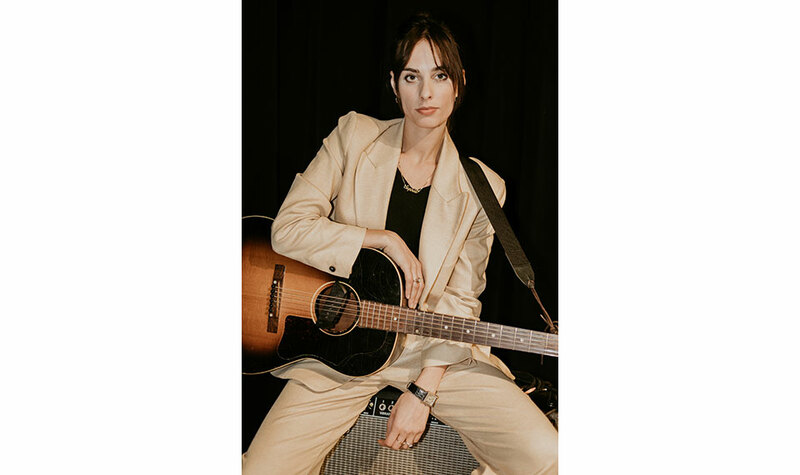 I read that while studying acting at the Lee Strasberg Theater and Film Institute in Manhattan, you also performed jazz songs in venues and clubs around the city. What do you recall most about this time? SA: I remember having a very clear idea of what I wanted to do and that I knew I had it inside me. I was green and a lot more hesitant, but I understood that getting over my insecurities and believing in myself as a performer, at an early age, would help me be who I wanted to be, even if beads of sweat did occasionally run down the back of my neck! I got over it and learned how to be myself in front of an audience. How important is the live performance aspect to you? What can we expect from your upcoming shows? SA: To me, the live shows are everything. It’s the place where you connect with the audience and breathe new life into the material. I am a very lively and engaged performer. I want the audience to feel like I’ve given them a part of me after they leave the show. What are some of your favorite spots to catch a live show in New York? SA: Bowery Ballroom, Rockwood Music Hall, Rough Trade, Baby’s All Right, Brooklyn Steel, and Coney Island Baby. What do you do when you’re not working on your music? SA: I am a member of Book Club at The Wing and I’m very disappointed that my touring schedule has ripped me away from the lovely ladies there! But I am hosting them at my apartment this weekend. I also like to draw, go to the movies, dance—I’m not a professional but I can dream—and cook.